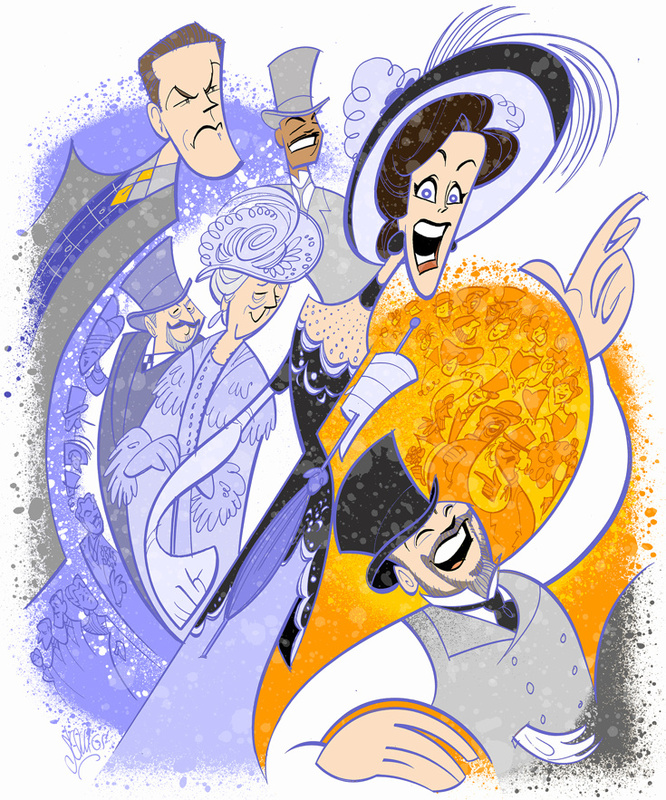 Nearing its first year anniversary on Broadway, Lincoln Center Theater's Tony-nominated revival of My Fair Lady is still going strong at the Vivian Beaumont Theater. A talented lineup of new leading players recently joined the production, including Tony winner Laura Benanti as Eliza Doolittle, Tony winner Rosemary Harris as Mrs. Higgins, six-time Tony nominee Danny Burstein as Alfred P. Doolittle and Christian Dante White as Freddy Eynsford-Hill. They join a principal company that includes Tony nominee Harry Hadden-Paton as Professor Henry Higgins and Allan Corduner as Colonel Pickering, with Linda Mugleston as Mrs. Pearce and Clarke Thorell as Professor Zoltan Karpathy. To toast the show's upcoming milestone, Broadway.com Resident Artist Justin "Squigs" Robertson sketched a portrait featuring many of the revival's new and original stars lending their talent to a classic American musical.